As I walked down the path which was flanked by waist high prairie grasses and flowers, it was easy to imagine the year was 1863, instead of 2010. I had driven to the Pioneer Park Nature area on this Oct 5th morning to attend the dedication of the Heritage School. 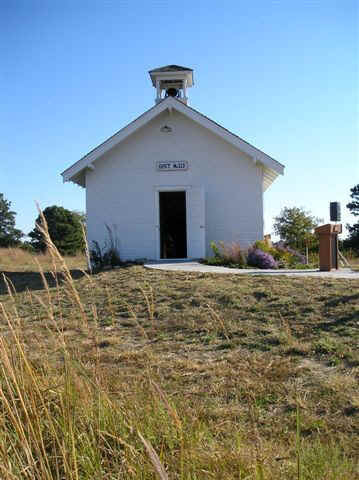 The school was originally located near Valparaiso in Saunders County. When Nebraska decided to move the annual State Fair to Grand Island, the State Fair Park was deemed not a place for the Heritage School, and so it was moved to Pioneers Park. On this October morning when dignitaries from Lincoln were there for the dedication, there were a group of students in the school learning their arithmetic, spelling and reading as had students for the past 80 years. Students and teachers alike were dressed in clothing appropriate for the early days of the school. Another highlight of the day was the walk down hill from the Heritage School to the Hudson Cabin. 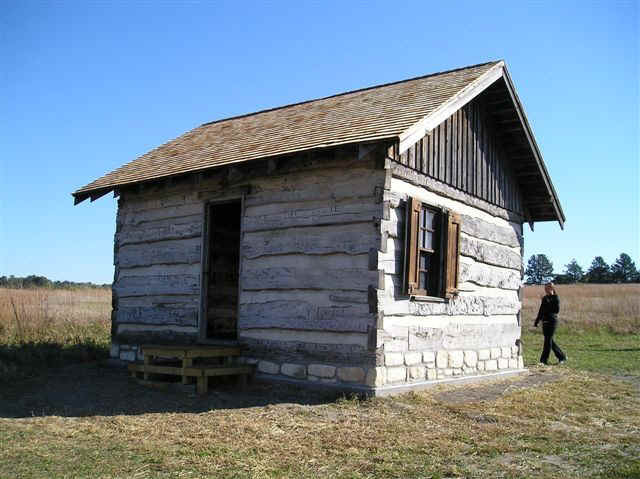 Thomas Jefferson Hudson had come to Lancaster County and had built this small 14 by 15 foot log cabin in 1863. Sometime in the past, it was moved to 2236 South 10th street in Lincoln and eventually became part of a larger house. In 1964 it was discovered when the owners decided to do some remodeling. It was disassembled and placed in storage until 1974 when the State Historical Society located it in State Fair Park also. The same fate awaited it as with the Heritage School, and it was then moved to the Pioneers Park site. It sits in a big open field as it probably was when it was first built in 1863 by Mr. Thomas Jefferson Hudson.